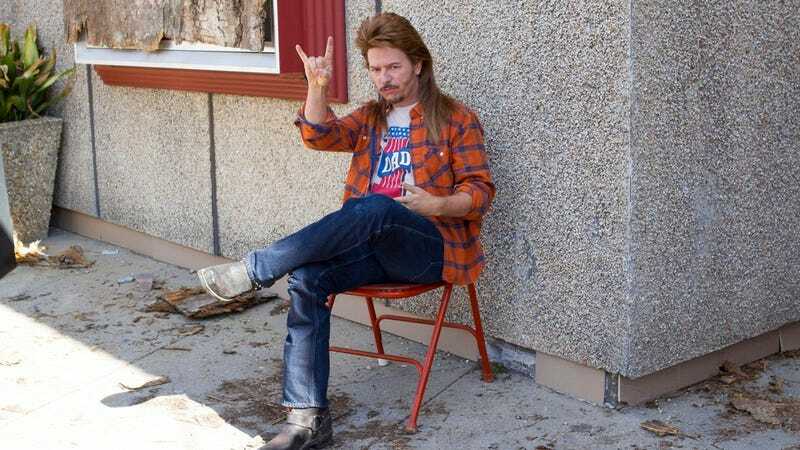 Taking an unconventional measure for an online streaming service—possibly as a way of checking if everyone involved is simply hallucinating from exposure to dangerous quantities of mullet glue—Crackle has released the viewership numbers for its exclusive debut of Joe Dirt 2, showing that 278,000 people watched the David Spade-starring sequel during its first 24 hours of availability. Even accounting for malevolent hackers, keyboard-stomping cats, and Spade streaming the movie himself in an effort to get his numbers up, that still means that more than a quarter of a million people were invested enough in the time-traveling exploits of Joseph Dirt and his angel buddy Patrick Warburton to spend 106 minutes of their lives pondering the topic. (According to optimistic-sounding numbers run by the free, ad-supported service, if all those views were translated into movie tickets, Joe Dirt 2 would have brought in as much as $2.25 million on its opening day.) Crackle also announced that as many as half of the viewers were new users of the service, lured in by the siren song of redneck jokes, unearned redemption, and Dennis Miller’s dulcet tones, with the new viewers nestling up against Crackle’s already established audience of people who like to watch Jerry Seinfeld driving around while holding a cup. Consequently, Joe Dirt 2 is now Crackle’s top performer, a fact that’s underscored by the fact that the streamer released its coveted viewing numbers, which sites like Netflix and Hulu usually keep extremely close to their chests. Then again, if you’d managed to get a group of people equivalent to the population of Lincoln, Nebraska to watch a 14-year-late David Spade sequel, you’d probably want to brag, too.